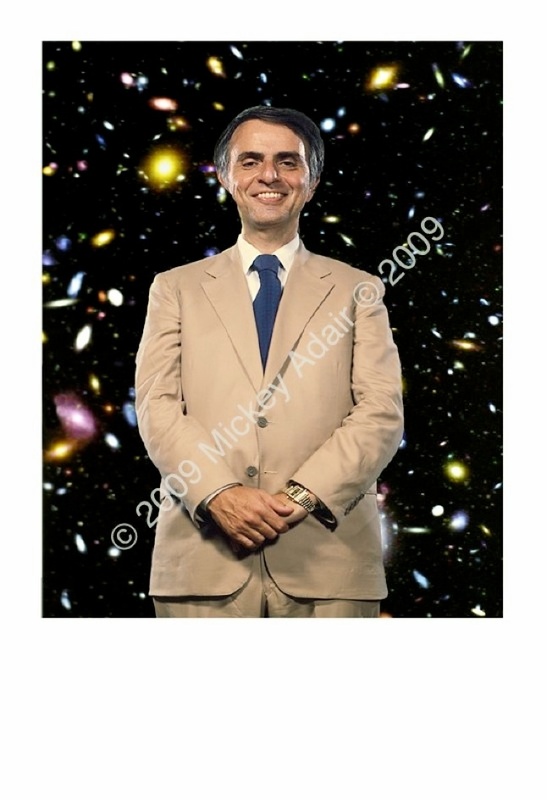 Carl Sagan was a speaker in the Distinguished Lecture Series at the old CPD at FSU in 1984. During his lecture he described the concept of the nuclear winter. Beside being terrifying it made a significant impact on nuclear disarmament policy. He and his wife, author Ann Druyan, posed in the darkened auditorium with different images of the cosmos projected on a screen behind them. They had to hold perfectly still for about 30 seconds while the projected images burned onto the film and then I popped my lights and closed the shutter. I was very impressed that they could hold that steadily and for a perfect stranger.